As a scientist, one has to intuit many different things that are going on at the same time and apply those to a particular problem. Perhaps my ability to pull more information out of context and put together difficult ideas may have been affected by what I learned to do from dyslexia. 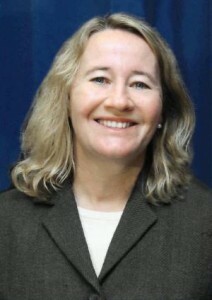 Carol W. Greider, PhD is an American molecular biologist who earned the Nobel Prize in Medicine for the discovery of telomerase, an enzyme which plays a major role in human disease and aging. My parents were scientists. But I wasn’t the sort of child who did science fairs. As a kid I had dyslexia. I had a lot of trouble in school and was put into remedial classes. I thought that I was stupid. I kept thinking of ways to compensate. I learned to memorize things very well because I just couldn’t spell words. So later when I got to take classes like chemistry and anatomy where I had to memorize things, it turned out I was very good at that. She discovered a love of biology through lab work in college, but her dyslexia raised another obstacle when she applied to graduate programs. She was rejected from many schools because of poor standardized test scores. Fortunately, the University of California at Berkeley looked beyond her test scores, and invited her to interview for their program It was there, as a graduate student, that Greider made the discovery that would ultimately lead to her Nobel prize. This program has been fabulous and my daughter has an interest in reading she has never shown before. She reads with growing confidence and she reads words that were once difficult with ease. She reads with conviction. My daughter came home the other night from school and actually read a whole Social Studies chapter out loud, not once did she ask me to finish reading which is her normal habit.